At Borello Orthodontics, you can find comfort in knowing that your orthodontic needs are a priority. 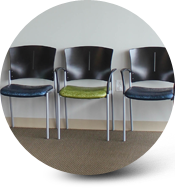 We don’t put you on a waiting list for your first appointment, like other orthodontic offices in Kirkwood or Lake St. Louis might do. You won’t have to wait weeks or months just to find out that your transition to a new smile can’t start for several weeks. Borello Orthodontics is happy to get you in the doors the same day you call to make an appointment and even get your braces and orthodontic treatment started as soon as possible (if needed). Click here to schedule your initial consultation today! The process of getting braces and orthodontic treatment is often long. 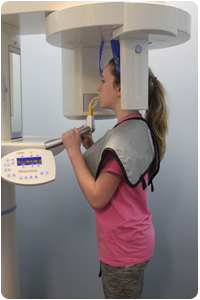 Many patients, like you, anxiously await to receive orthodontic treatment. 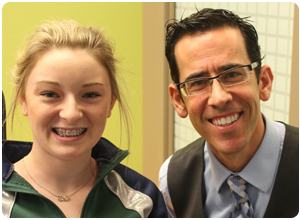 Lake St. Louis and Kirkwood, MO’s award-winning orthodontist, Dr. Borello, offers his patients same day braces! Get your braces or orthodontic treatment started on your time. We welcome you to explore this option and discuss your preferences with our orthodontist. This unbelievable option is available to you at our Lake St. Louis, MO orthodontics office and our Kirkwood, MO orthodontics office! Schedule your complimentary Borello Smile Assessment today and find out if same day braces are right for you! At Borello Orthodontics, we offer the Borello Smile Assessment. Our mission is to serve you! 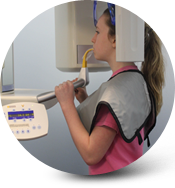 This smile assessment is a comprehensive exam, with x-rays and thorough consultation designed to help you reach your goal. Not only will this assessment help you determine if you even need braces, it will help you discover which types of braces are best for your unique case. The best part is that this assessment is 100% complimentary, with no-obligation! No Hidden Fees – Retainers Are Included! 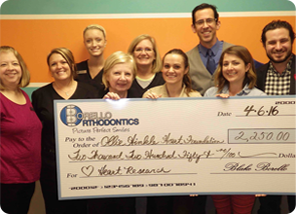 Other orthodontic offices in Lake St. Louis or Kirkwood, Missouri offer all inclusive programs only for the patient to find out later that they owe money. Dr. Borello understands the financial aspect of braces and orthodontic treatment, this is why he provides a no hidden fee guarantee! Dr. Borello has also recently partnered with OrthoFi, which allows patients to create customized payment plans that fit within their individual budgets. OrthoFi allows patients to select their own down payment, determine their own monthly payments, and easily manage their accounts online. To learn more about the benefits of OrthoFi, click here. Trust is an important part of Borello Orthodontics. Our aim is to serve you – this includes eliminating hidden fees and making payments as hassle-free as possible. 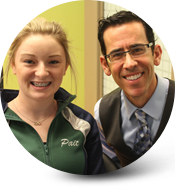 Additionally, once you or your child has completed braces or orthodontic treatment, the retainer is included! Playing an active role in the community is great for any business. 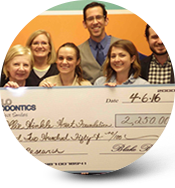 For Borello Orthodontics patients, we love making them feel special … whether that means donating to a local charity or volunteering our time to local events. Being involved helps us bond and grow rapport with you and the local community! At Borello Orthodontics, you become a part of the Borello family forever. 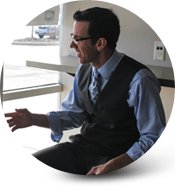 Dr. Borello now offers discreet braces and orthodontics to fit your lifestyle. 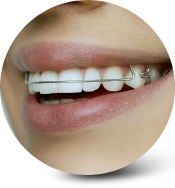 Clarity™ is an excellent type of braces if you are looking for a clear braces option. The brackets are translucent, ceramic and virtually undetectable! Invisalign uses a series of invisible, removable and comfortable aligners that no one can tell you’re wearing. 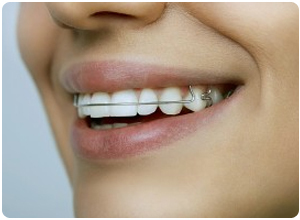 So, you can smile more during orthodontic treatment, as well as after. To find out if you are a good candidate for clear braces and more, schedule your initial consultation with Dr. Borello, at which time he can discuss orthodontic treatment options with you. By choosing Borello Orthodontics for your braces and orthodontic treatment, you are opting for a smile solution that relies on all of the latest advancements in modern orthodontic technology. For example, Dr. Borello has recently started using the innovative iTero® Element™ Intraoral Scanner, to better show patients the outcome of their Invisalign treatment. Dr. Borello offers the most advanced braces available today! During your initial visit we will be able to help determine which type of braces are right for you, whether it is metal braces, clear ceramic braces, SmartClip™, Clarity™ braces, lingual braces or even Invisalign. At Borello Orthodontics, we understand the importance of prompt and gracious 5-star customer service. Rest assured our highly experience Borello team will execute a personalized treatment plan just for you, resulting in your dream smile! We strive to give you the best results, which means that we are dedicated to employing the latest technology and research. We want our patients to have a memorable experience at Borello orthodontics. 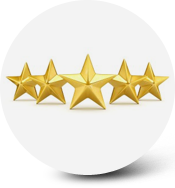 You can expect nothing less than 5-star customer service from your Borello team. We are here for you! At other orthodontic offices in Lake St. Louis or Kirkwood, MO you may experience long wait times as they have over-booked their orthodontic appointments in preparation for potential cancellations. If you have visited a different orthodontic office in the Lake St. Louis or Kirkwood area, you may be aware of this unfortunate bottle-neck of in-and-out traffic while you wait 15 to 30 minutes past your appointment time. The major drawback from this is lost wages and lost time with important curriculum. 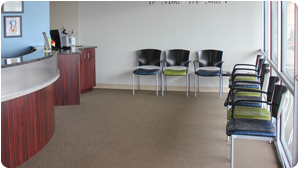 At Borello Orthodontics you don’t have to worry about being seen later than your scheduled appointment time. We know your time is precious, which is why we gladly offer virtually no wait times in our Lake St. Louis, MO orthodontics office and our Kirkwood, MO orthodontics office! 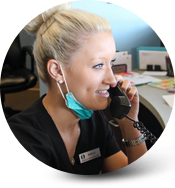 We make sure our schedule is carefully planned so that there isn’t overlap between orthodontic appointments. In the end, experience shorter wait times with Borello Orthodontics. When choosing a St. Louis orthodontist, you should ask if they have been featured in any publications. When your orthodontist has been featured in a publication, its a true sign that they are a recognized practice among their peers. 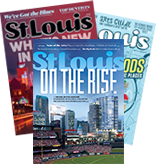 Dr. Borello and his orthodontics team have been featured in St. Louis Magazine as a Top Dentist with an Orthodontic Specialization in both 2015, 2016, 2017, & 2018! Check out their feature here!